Ritual, a solo showing of painting by Charmaine Olivia, opens on January 14, 2012, at Shooting Gallery. Her work draws from themes of magic and mythology, which inform haunting portraits of wild beauty. 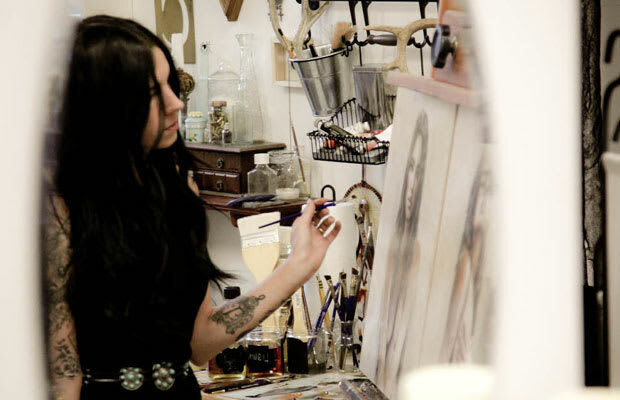 As preview, take a look at some of Olivia&apos;s new painting and tour her enchanting studio. Ritual runs through February 4, 2012.